The uva ursi plant is found in colder, northern climates. This dwarfed evergreen mountain shrub has red flowers and edible red berries, which are thought to attract bears; thus it is more commonly known as "bearberry". Buy 1 for $14.46Buy 2 / Save $0.77!Buy 3 / Save $2.89! Uva ursi has a long history of use as an herbal tonic for urinary tract health. It has been used in the maintenance of healthy kidneys and bladder, and provides nourishment for the entire urinary tract. 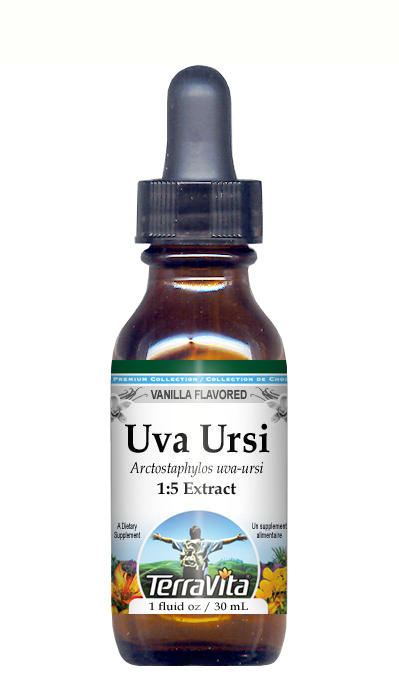 Uva ursi is also an effective herb for managing a healthy water-weight balance. Uva ursi contains vitamin A, iron and manganese. It is also so high in tannin content that it has even been used to tan leather!